William from Lifesong for Orphans on Vimeo. William was born with clubfoot, affecting both of his feet. If William had been born in America this common deformity would have been easily fixed when he was still a baby. But in Zambia it’s a different story. In Zambia, where the resources are few and the funds are even fewer, healing is only a distant dream. Last February Lifesong Zambia coordinator, Dru Smith wrote about William in her newsletter. When Wendy in Illinois heard his story she was prompted to act. 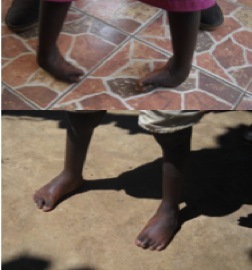 After a thorough investigation she discovered CURE Clubfoot International, which had a clinic in Lusaka, the capital of Zambia! In April William was fitted for casts (first in a series of 3) and then had corrective surgery on his right foot in June and his left foot in September (the video was taken in September just before his second surgery). God used His people to “fix” William. Today William can walk! Soon he will be strong enough to return to school, play with the other children, and be able to do many of the simple tasks we take for granted! Through this journey the Lifesong staff has been able to help not only William, but his family as well. 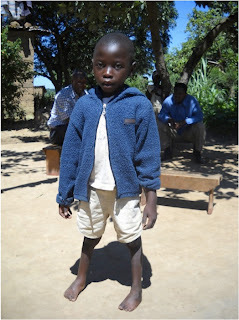 William’s brother, Bright, and cousin, Gift, have both been enrolled at Lifesong school. In addition his father, Victor, who was unemployeed now works in the Lifesong gardens! We’re so thankful our God is the master at doing “abundantly and immeasurably more” than we even think to ask! 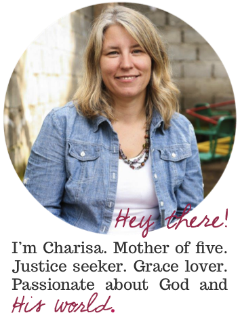 *Find out more about Blogging for Orphans here. I READ THIS ON FACEBOOK! I'M THANKFUL FOR THOSE WHO LISTEN TO THE LORD AND FOLLOW HIS PROMPTING! When I was at urgent care this weekend, I thought....and if we were in another country?? Here I am on a Sunday afternoon going to urgent care. We are BEYOND BLESSED! Things I don't take for granted after going on mission trips!